The Circuit of the Americas awaits the MotoGP field this weekend, two weeks on from Marc Marquez’ (Repsol Honda Team) dominance of the Argentinian round of the series. For round three, the result will likely be little different. Marquez is unbeaten in COTA, and indeed on American soil since 2010. This weekend could see the seven-times champion more dominant than ever, at his best track with the best motor Honda has produced since 2014 in the premier class, and no one seemingly in a position to challenge him. Jorge Lorenzo (Repsol Honda Team) of course shares machinery with Marquez, since they both operate out of the same garage. However, the condition of Lorenzo’s scaphoid has potential to restrict his potential this weekend, as the plethora of hard braking points at COTA mean a lot of stress is put through the arms and indeed the wrists of the rider. Any weakness in this area can be exaggerated in Texas, and the direction changes of the first sector exacerbate this even further. In addition to this, Lorenzo’s record in Austin includes only two podiums, the most recent coming back in 2016. That 2016 race showed a contrast in fortunes for Lorenzo compared to the two riders who two weeks ago fought for second place pretty much from lights to flag. Three years ago, neither Andrea Dovizioso nor Valentino Rossi finished the race, with Dovizioso being collected by Dani Pedrosa’s Repsol Honda and Rossi crashing out early in the race at turn two, after burning his clutch out on the start. 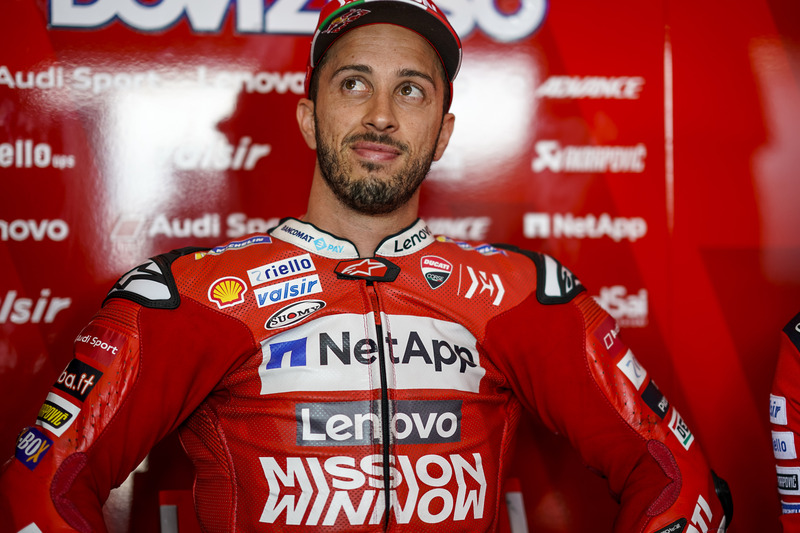 However, both Rossi (Monster Energy Yamaha MotoGP) and Dovizioso (Mission Winnow Ducati) have decent records in Texas, with two podiums each – Rossi’s coming in 2015 and 2017, and Dovizioso’s coming in 2014 and 2015. Yamaha have had good results in the last few years in Texas. 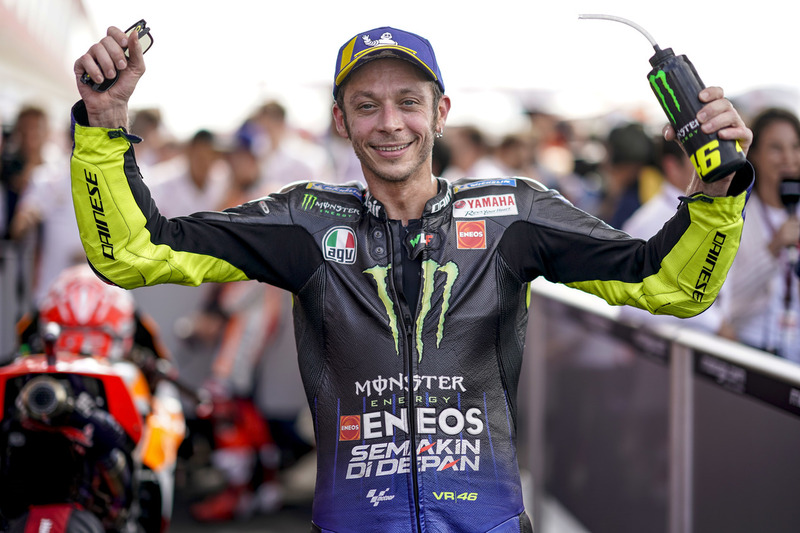 In fact, apart from 2014, a Yamaha has finished on the podium each year, with Lorenzo (2013, 2016) and Maverick Vinales (2018) adding to Rossi’s aforementioned Texan rostrum appearances. There will be three critical points for Yamaha, this year, in theory, at least. Firstly, it will be important for them to manage the front tyre well, which they failed to do in 2014. Secondly, Yamaha will need to accelerate off the corners well and find perfect traction, as their lack of power will be highlighted on COTA’s series of long straights and hard accelerations. Thirdly, Yamaha will need to find a setup that allows their riders to be strong on the brakes, as the time they lose on the straight will have to be made up getting off it. The Ducati has struggled in recent years at COTA, Dovizioso languishing in sixth in 2017, and fifth last year. However, the improvements made by Ducati over the winter have the #04 in line for a better result this year. Critically, the Ducati no longer seems dependent on grip for it to be fast. Termas is a famously slippery, dirty track, with a narrow line, and yet Dovizioso was able to fight for second place for the whole race. This will be important in COTA, because once more the track has been shaved, like last year, and the condition of the track is questionable, with bumps, holes and cracks still noticeable on the surface. Fortunately, with IndyCar having a race a couple of weeks ago, there shouldn’t be the huge roosts we saw last year, as the Dallara-built single-seaters should have cleaned any rubbish left over from the shaving that was lingering between the stones. Several other riders could be in contention for the podium in Texas this year, including Alex Rins (Team Suzuki Ecstar), whose then-teammate Andrea Iannone took third place last year on the GSX-RR. Between last year’s victory Marquez and third placed Iannone was Maverick Vinales (Monster Energy Yamaha MotoGP), who should have also finished second in 2017, but crashed early on, and won his first Moto2 race at COTA in 2014. Additionally, Cal Crutchlow (LCR Honda CASTROL) – who had the pace for a clear second place in Argentina – could be well placed to take his second rostrum of the year this weekend.